In the simplest of terms, procurement officers are mega shoppers, purchasing supplies as well as services to support an enterprise and improve its efficiency. Procurement officers might be common in the business world, but they’re harder to find at a law firm, where the partners tend to take on this role. José M. Pariente is one of the exceptions. Pariente has been the chief strategic sourcing and procurement officer at White & Case, a global law firm with forty-one offices in twenty-nine countries, for the past seven years. A trailblazer in the field, he has redefined the position, taking it beyond the normal parameters of the role. “Buying office supplies is the least of it,” he says. “We provide support in areas that you would not think of.” Those areas include supply management, strategic sourcing, contract negotiations, the procure-to-pay cycle, sourcing services for IT infrastructure, employee benefits, consulting services, car and food services, facility-management services, real estate services, travel management, and some areas specific to law such as litigation support and research and library services. When you are an employee at one of the top ten law firms in the world, it helps that you bring a broad education and work experience to the job, especially if you’re not an attorney and hope to take on an unconventional position. Pariente’s experiences prepared him for the role he plays at White & Case and helped him forge a path in uncharted, sometimes choppy waters that required him to continue to evangelize and show his value. Pariente can’t say that procuring was his passion as a child; that evolved more serendipitously. “I heard this a long time ago, that throughout your journey in life, there are these guardian angels that guide you in the right direction, whether you realize it or not,” he says. Back in the United States, he was accepted to Louisiana State University (LSU), and like his father, José Sr., an anesthesiologist, he pursued a degree in the sciences. He earned a bachelor’s degree in microbiology and a master’s degree in dairy science from LSU. After completing his master’s degree there, too, he was hired by Kraft, which owned Breyers Ice Cream at the time. The company assigned him to work at the Sealtest ice cream plant in Huntington, Indiana, which exposed him to manufacturing, which included purchasing packaging materials. 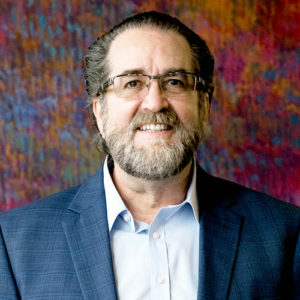 Pariente’s Latino background, language, and cultural skills, as well as the years he spent in Mexico, helped him secure a job as country manager and eventually vice president of Latin America for Exel Logistics, which was eventually purchased by DHL. During this time, he completed a master’s in business administration from the University of Chicago. Pariente is also a Harvard-trained negotiator. He accrued more knowledge from subsequent jobs, becoming a highly skilled negotiator, before joining White & Case, where he has continued to pursue his love of negotiation strategy and execution. He continues to seek ways to bring value to the law firm. Though there are still challenges, working with lawyers, who sometimes can be more impressed by debate than hierarchies, often makes it easier to convey his point.